Beer cans are an all too common site on the side of the road. 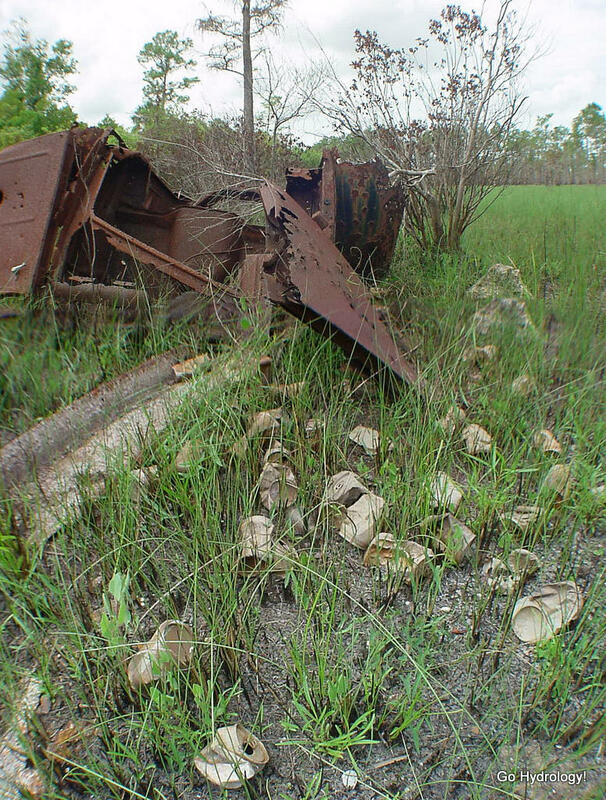 Could it be this rusted old wreck and the cans are related? Both were too rusted out to see the make or brand. It's located south of Tamiami Trail, close to Bridge 92, in Big Cypress Nat'l Preserve. Obviously a bank-robbery get-away car shot up by law enforcement!